Norwich is blessed with a wealth of hostelries to quench the thirst and chew the cud, but few are as famous as the Gardener’s Arms on Timberhill, one of the last family-owned pubs in the city. Partly dating back to the Seventeenth Century, the traditional ale house is stuffed with oldee worldee nooks and crannies, knotty oak beams and exposed brickwork. Its fame derives from an infamous past. 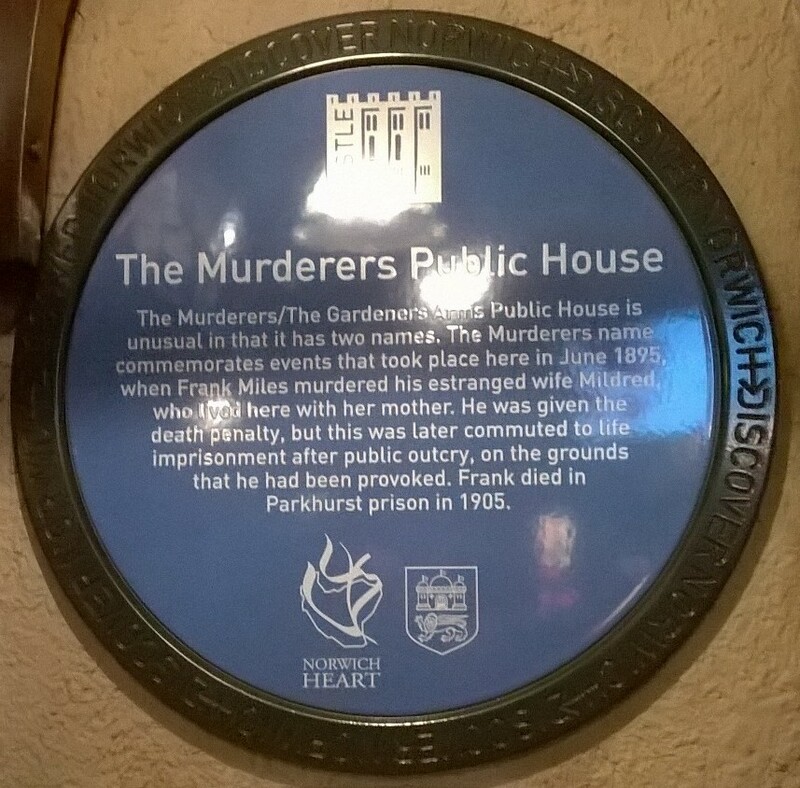 The Gardener’s Arms might be the pub’s licensed name but, for years, it’s been known locally as the Murderers. Why? Because after closing time one late night in 1895, Frank Miles battered his estranged wife with a hammer and left poor Mildred for dead. Handy Frankie should have swung for his dastardly deed but the case attracted huge public sympathy and his death sentence was commuted to life imprisonment. What had the luckless Millie done to deserve such a sticky end? Apparently, she was seen with another man. Oh, that’s alright then. If you’re passing Timberhill, be sure to pop in for a pint of real ale and admire the murder theme posted on every wall (Dr Crippin, Lizzie Borden, Bonnie and Clyde, Ruth Ellis to name but a few). I’d avoid the big screen soccer nights, though. The beautiful game murders civilised conversation. 😀 😀 I don’t believe that at all, Jack. Not sure I want to go to a murder pub! But I do love the history in old buildings. I found out a distant relative used to live two blocks away from where I am now in a tiny town near nothing. In the 1920s, his wife murdered him! I need to find the stories around that one. We’ve all got a few skeletons rattling away in the closet, I guess. . . murder a pint? I’m ready to commit genocide for a pint of good, English bitter! A murder wall! If I was thinking up a catchy reason for people to visit my pub I’m not sure this would be it. Ah but it’s Norwich isn’t it – nuff said. Always a good place to sit outside people watching in the summer. Plenty of sport to be had watching those who are staggering under the weight of bags from the nearby Primark. 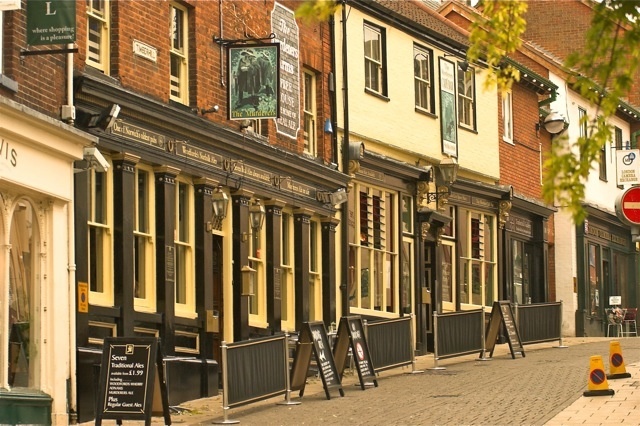 Apparently Norwich once had ‘a pub for every day of the week and a church for every Sunday’. Lots of the churches are flea markets now, but we still do a good line in pubs! That should have said a pub for every day of the year! Doh!!! Sorry! There was a TV programme so you could be right.